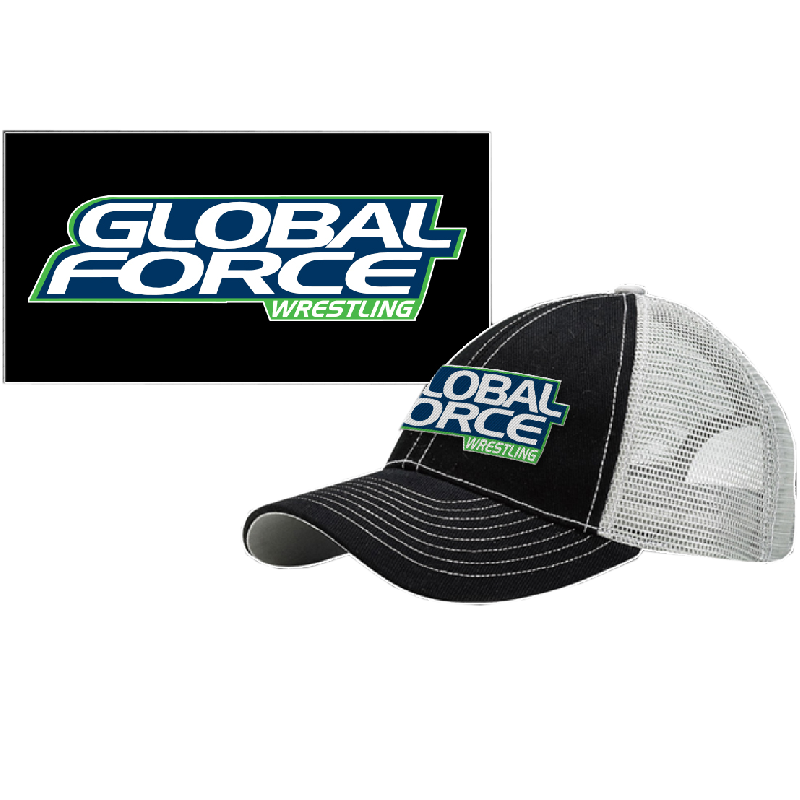 Global Force Wrestling heavy cotton twill black fabric in the front and grey mesh backing. Low profile with adjustable velcro backstrap. Global Force Wrestling logo embroidered on the front.